Australia's Most Awarded Mercedes-Benz Retailer proudly presents this Certified low-kilometre E250 Night Edition AMG Sports Package PLUS pillar-less Coupe. 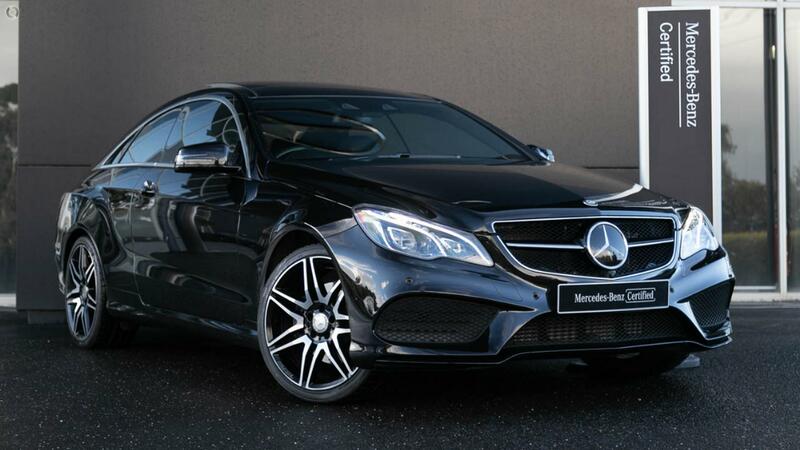 Absolutely stunning in Obsidian Black Metallic featuring the full suite of options and packages including Night Edition Package, AMG Sport Package PLUS, Vision Package, Comfort Package and Driving Assistance Package PLUS. Take the wheel of your stunning "Night Edition" Coupe with absolute confidence - ONLY from a Certified Mercedes-Benz expert and the reigning "Mercedes-Benz Metropolitan Retailer of the Year" again, for the 5th time in 6 years! - Night Package with striking design elements in black. - Panoramic glass electric sunroof with tilt/slide function. - Twin-pipe ext system with bumper-mounted trapezoidal chrome tailpipes. - Tyre pressure loss warning system.